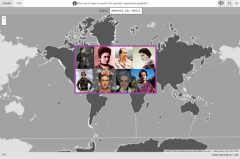 Point out on the map the country of each of the women we ask you about. 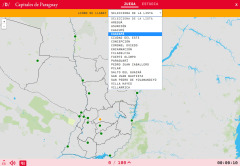 Do you know what is the name of each the Capitals of Paraguay shown on the map? Test yourself with this interactive map, you have to choose the right answer from a list of several options. 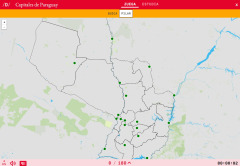 Would you know how to locate on the map the Capitals of Paraguay which you have been asked for? You have to point out each exact location on the map. 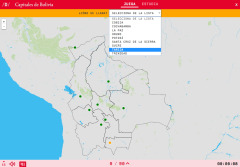 Do you know what is the name of each the Capitals of Bolivia shown on the map? Test yourself with this interactive map, you have to choose the right answer from a list of several options. 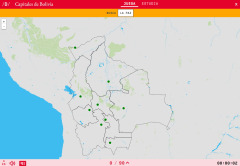 Would you know how to locate on the map the Capitals of Bolivia which you have been asked for? You have to point out each exact location on the map. 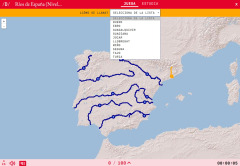 Do you know what is the name of each the Rivers of Spain (Hard) shown on the map? 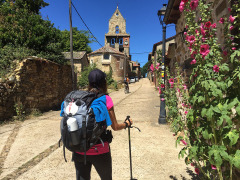 Test yourself with this interactive map, you have to choose the right answer from a list of several options. 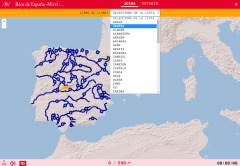 Would you know how to locate on the map the Rivers of Spain (Hard) which you have been asked for? You have to point out each exact location on the map. 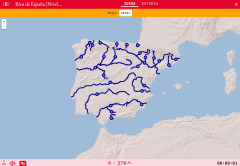 Would you know how to locate on the map the Rivers of Spain (Normal) which you have been asked for? You have to point out each exact location on the map. 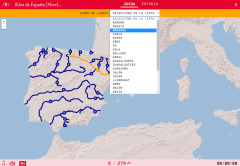 Do you know what is the name of each the Rivers of Spain (Easy) shown on the map? Test yourself with this interactive map, you have to choose the right answer from a list of several options.